Meat processing plants are in constant operation. Time spent not operating means losing money, which isn’t an option. This means that meat processing plants produce a high amount of wastewater. 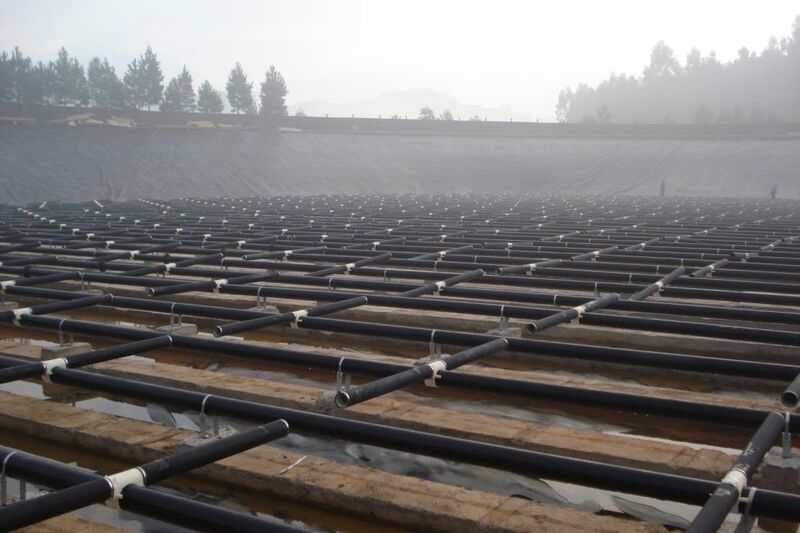 These processing plants are looking for only the best diffusers for their wastewater treatment operations to keep up with their high production. This is why SSI’s fine bubble diffusers are being chosen again and again. 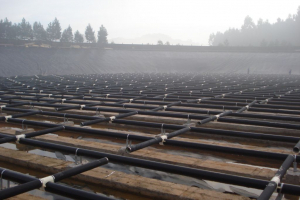 In an industry where only the most durable and most effective diffusers will do, numerous companies have chosen SSI’s diffusers to trust in their operations. A large meat processing plant in North Carolina installed over 6,000 SSI 9” fine bubble disc diffusers with EPDM membranes in 2009. Ten years later, the same diffusers are still being used. This is due to multiple reasons. 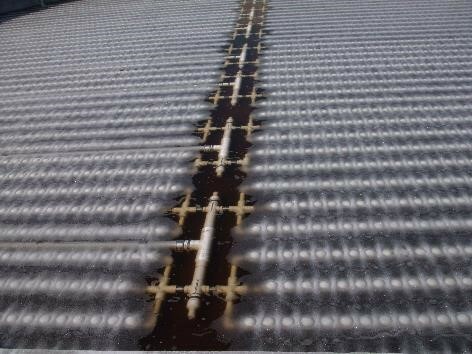 One being because of the low plasticizer content in the membrane, meaning that the membrane will last longer before it hardens, shrinks or breaks. 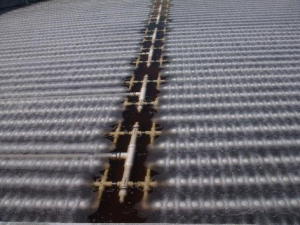 Another reason being that SSI’s EPDM membranes have a much higher than industry standard tensile strength and elongation at break. Another installation for a large meat processing facility in Brazil decided to install 1,900 of SSI’s Snappy Saddle fine bubble tube diffusers with EPDM membrane. In an installation in 2012 for a client in Kansas, almost 18,000 9” disc diffusers were installed with PTFE coated membranes. When treating wastewater from meat processing facilities, large amounts of fats, oils, and greases, or FOG, are usually present in the influent. 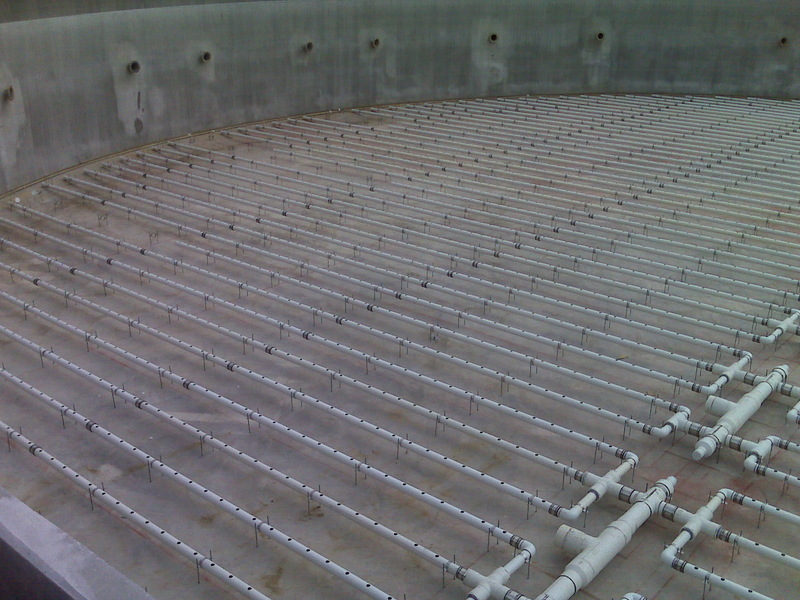 For this reason, many treatment facilities, such as this one, choose SSI’s PTFE coated membranes. The PTFE coating has a high resistance to FOG, keeping it from sticking to the membrane and clogging it.